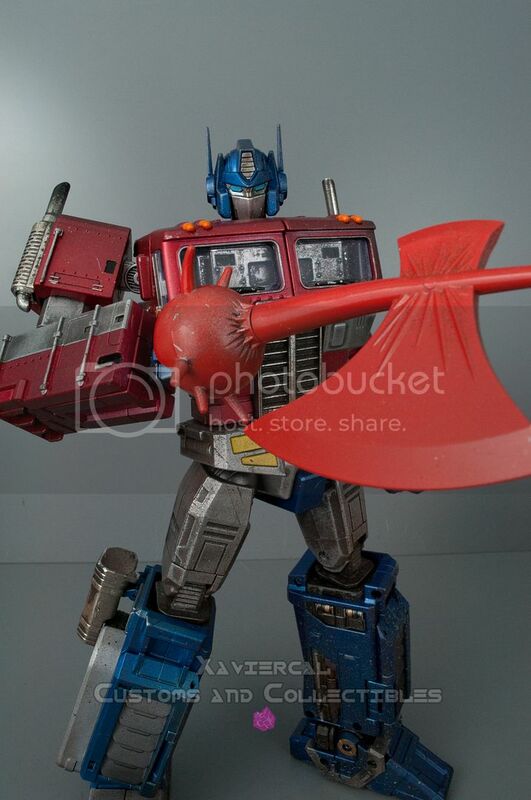 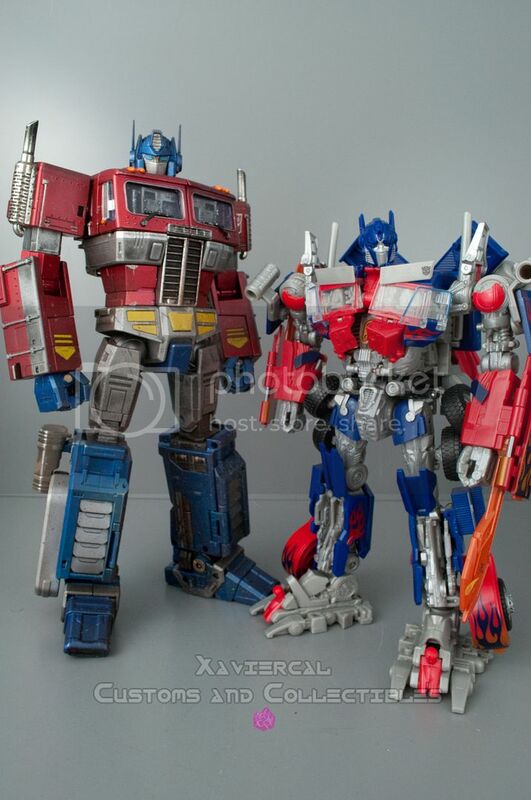 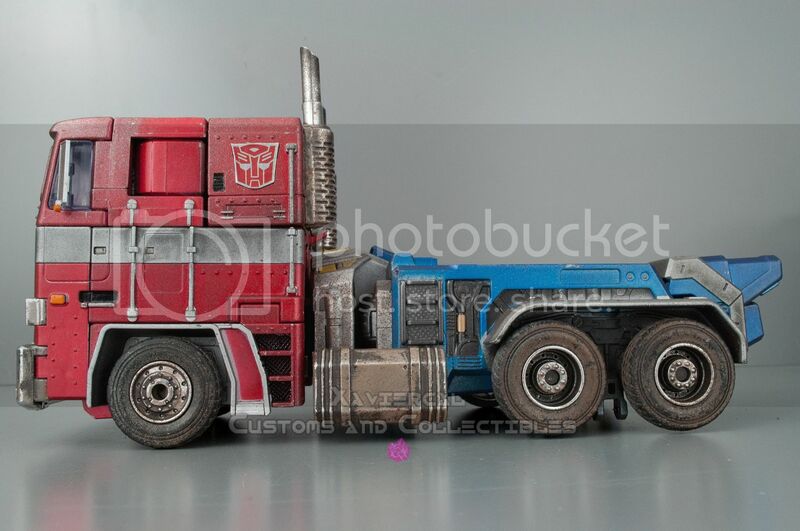 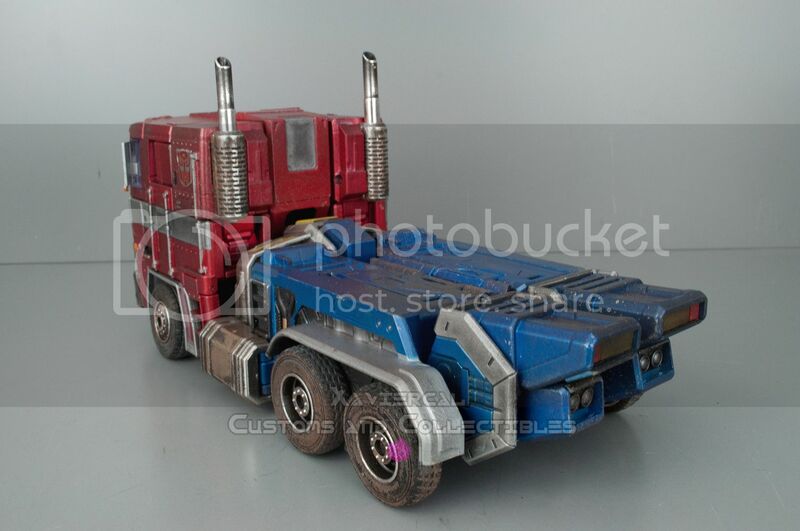 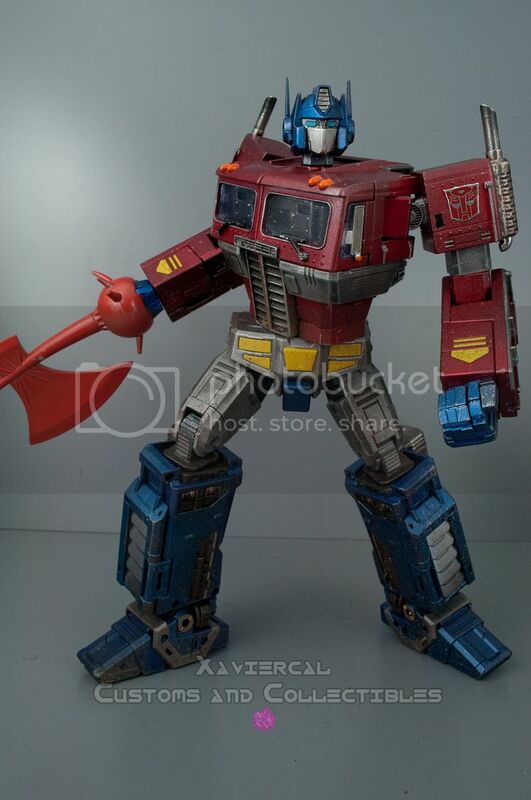 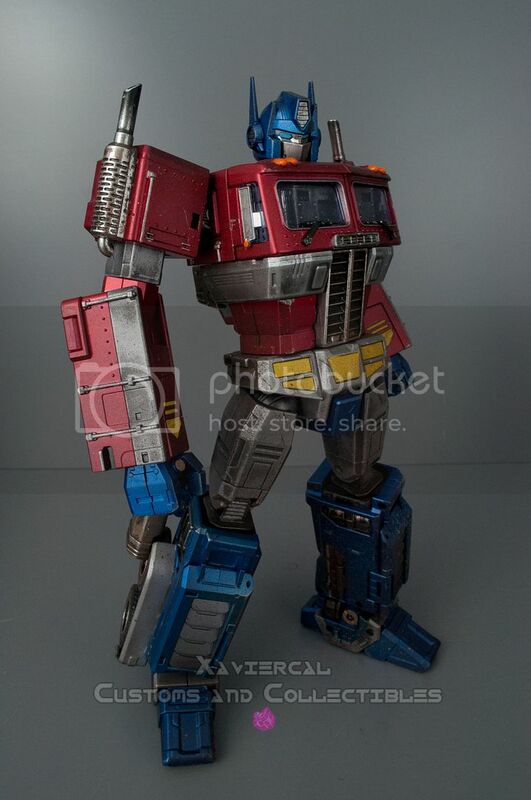 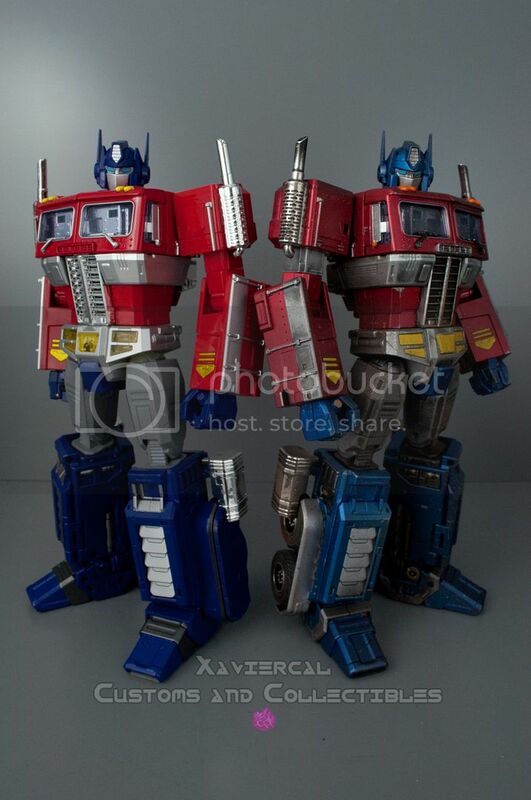 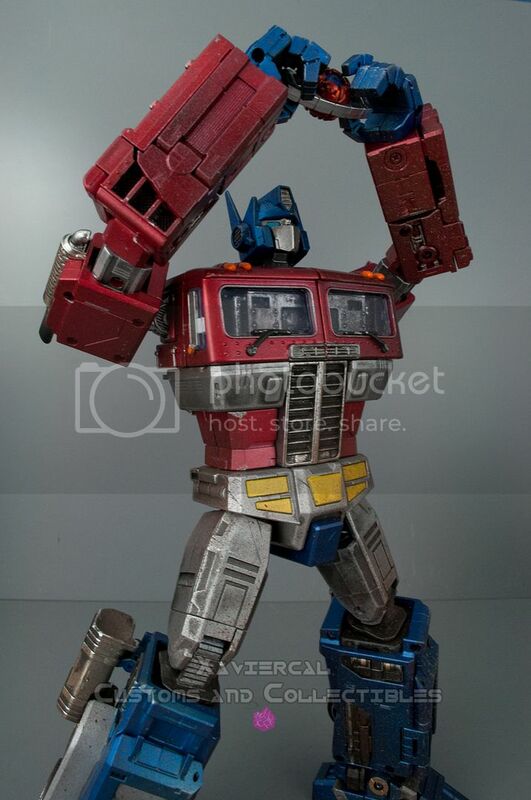 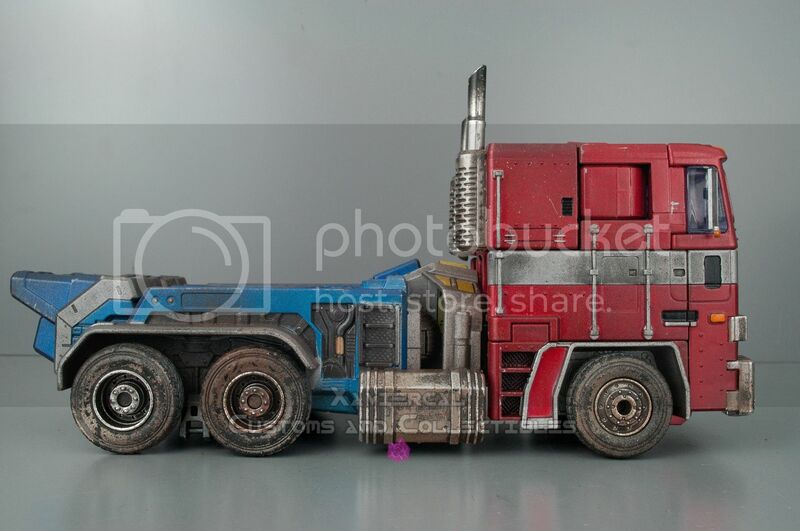 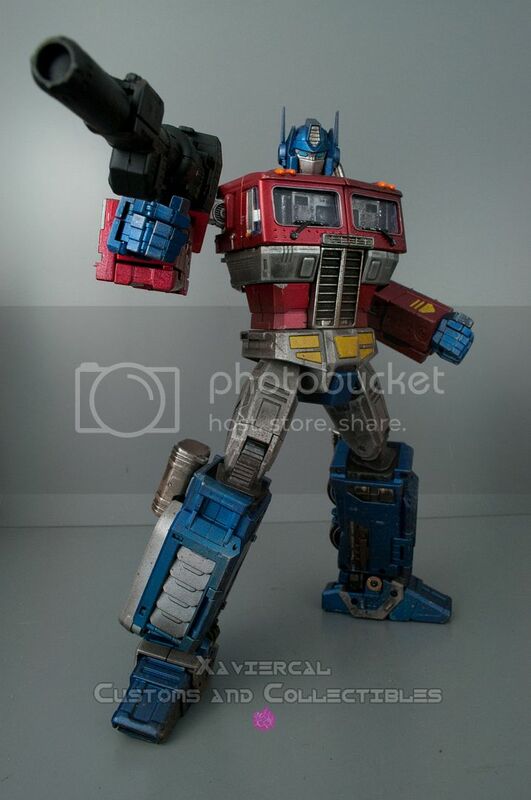 This custom Optimus Prime made from the oversize Wei Jiang MPP10. 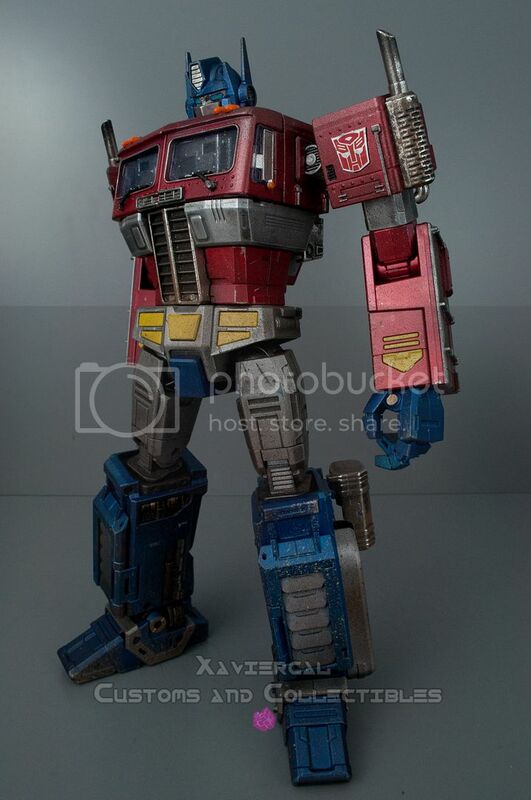 As with nearly all MP-10/MPP I removed the wheel covers on his legs and fully repainted him into a realistic look with realistic weathering effects. 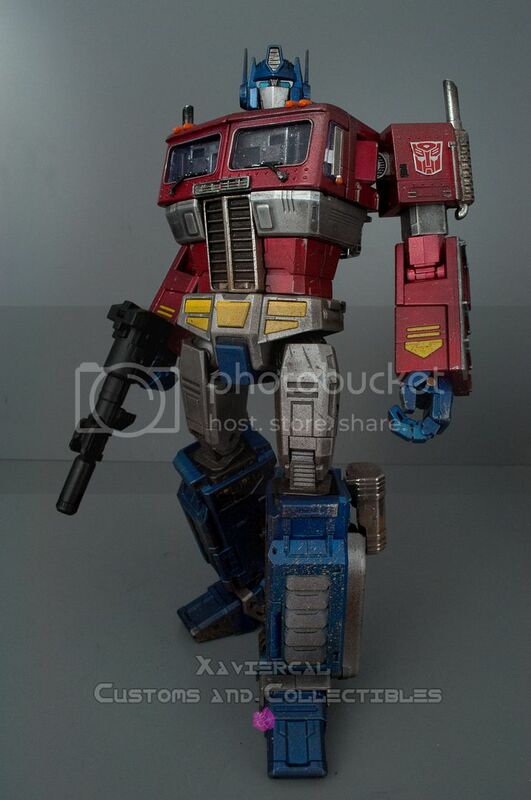 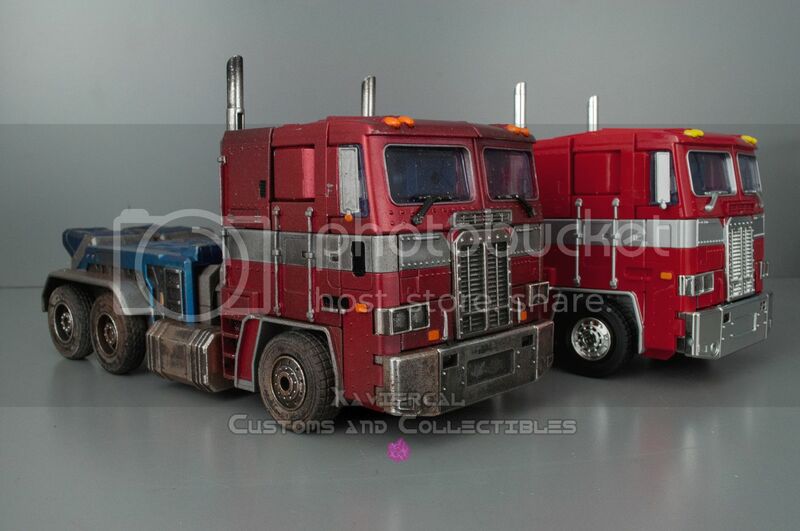 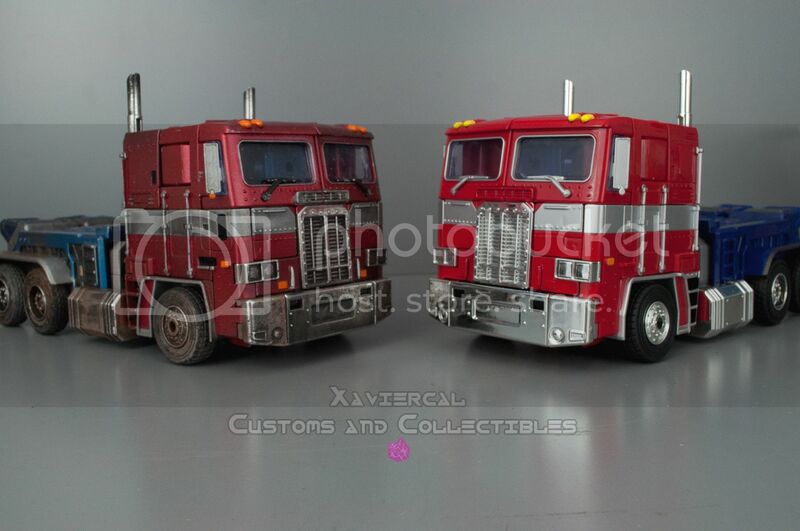 Multiply shades of red and blues went into this piece to give that Hot Toys look. 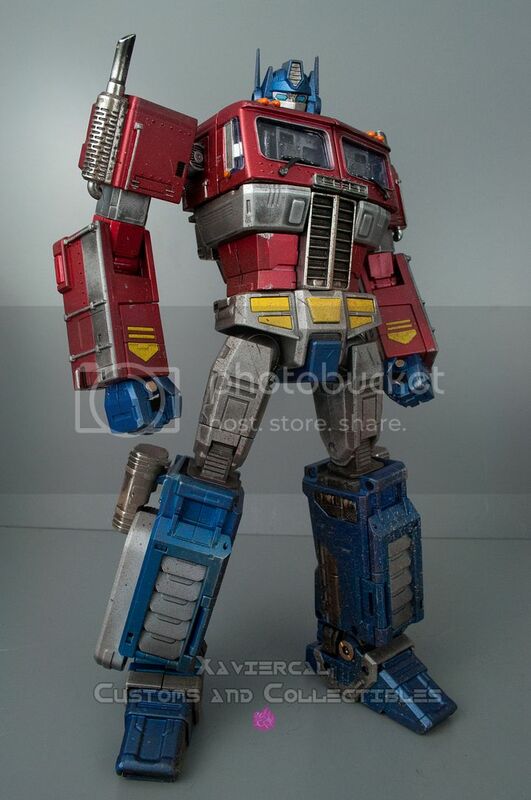 I took some references from the actual hot toy in the weathering process to give him that realistic look. 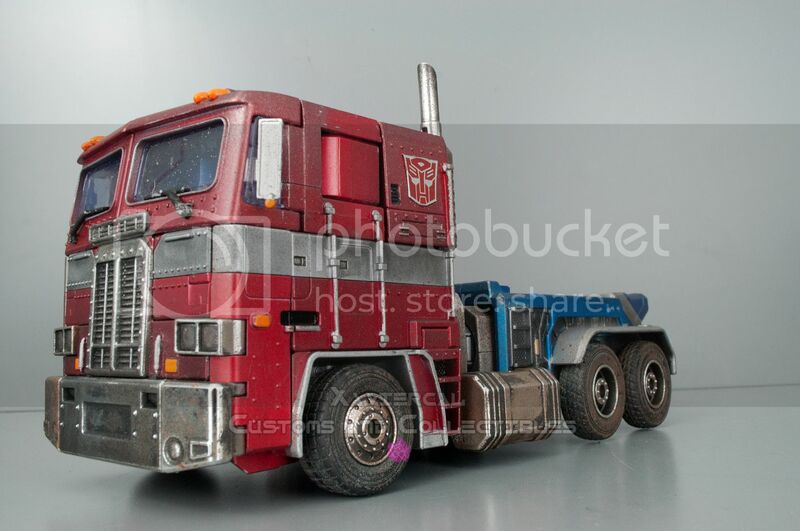 He stands about 12 inches tall and is fully transformable into truck mode and back!